Rate this Article With so many game releases for VR, some of them have landed on top of the list. Let’s take a look at some of the top free demos available for the top VR games. The virtual reality industry has been a buzz with a lot of activity the past few years that a lot of video games made specifically for VR where introduced and a number of them have become popular with players worldwide. Though VR is still very much in it’s infancy, the best and well made VR games have been able so far to provide an immersive and awesome effect to their game play. 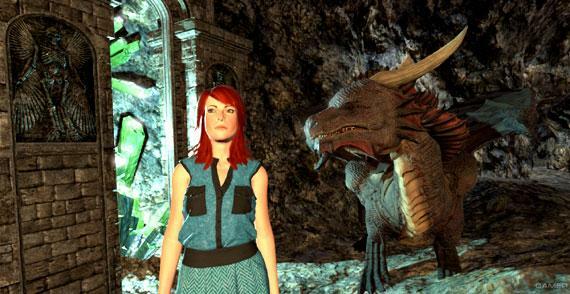 One can’t help to wonder what it would be like to play these popular and upcoming VR games. Here is a list of the top VR demos you can check out to get an idea and see for yourself. Ever since its release, the PlayStation VR headset has proven to be a formidable VR headset system contender. Pegged as the cheapest among the high end VR devices, the PSVR has among the best and awesome VR games in its arsenal. With it’s plug and play features and ease of set-up, a lot of people are opting to settle for this, not withstanding you can play regular console games with your PS4. Here are 2 demos you can check out which are included in the PSVR Demo Disc. 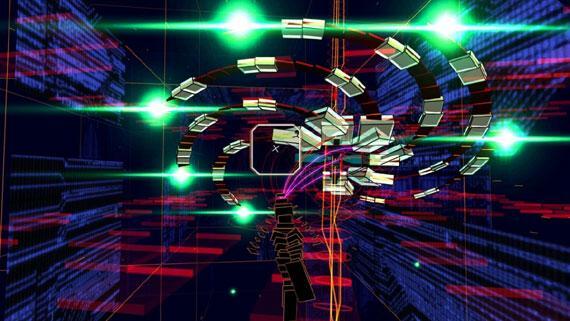 Touted as The Best PSVR game, Rez Infinite is actually a remake of the 2001 hit game for the Sega Dreamcast. It was really good back then and it is really awesome today as you can play it in VR giving you an experience of active sight and sounds like no other. The combination of the techno beats as well as the exploding enemies give an arcade like surrealistic effect as you travel through a psychedelic cyberpunk world moving your head back and forth to aim at those multicolored opponents. Note however that Rez is still the arcade game that it is where surviving each level is a must to beat the game. Imagine playing CenterGoal and shooting your way through at the same time. That’s what Rigs is. 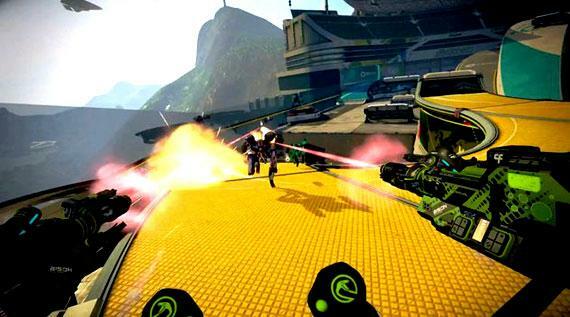 You play a futuristic mechanized suited athlete in the Mechanized Combat League Competition. A sport where a team of 3 is pitted against another team where the goal is to shoot the ball into a goal located in the middle of the arena. This is no ordinary basketball as you will have to blast your opponents in order to grab the ball from them and shoot it yourself. Rigs is a sports oriented FPS and it really does somewhat feels like Unreal Tournament with mechs and VR. The game is intense and caution is advised on playing too long as current limitations in VR and a lot of movement will surely cause your head to spin. The game is available in multi-player mode with one wearing the headset while the others will have to contend with controllers and screen. 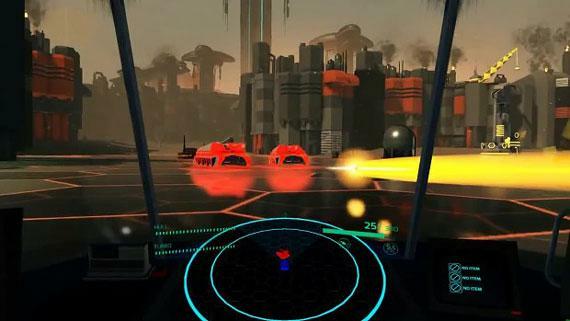 Battlezone VR is another awesome remake from the past. The original game was released for the Atari 2600 gaming console back in the 1980’s which was a huge hit in its day. The game in its VR reincarnation is so awesome with its graphics as well as the look and feel of the game. The movement in terms of VR and the depth of the game play however seems to be the big limitation of the game. Basically your stuck in a cockpit of a futuristic hover tank that looks like it was pulled out of Tron which is so awesome by the way as you have to go up against other Tron looking tanks in an environment that looks like the Grid. If you’re a fan of the movies, this game will hit you hard. Unfortunately, you are limited to your cockpit’s point of view but this may not be an oversight as the game does not make you dizzy like other VR titles as your head movement is limited. You can play the game offline by yourself or online Co-op with other players. Both the Vive and the Oculus are considered to be the top high-end commercially readily available VR devices of our present date. Well, probably until someone comes up with something that plugs directly to the back of your head. Being high-end means having the best performing VR games and these 2 brands do live up to their names. The headset systems may cost a lot but hey, the demos are free. 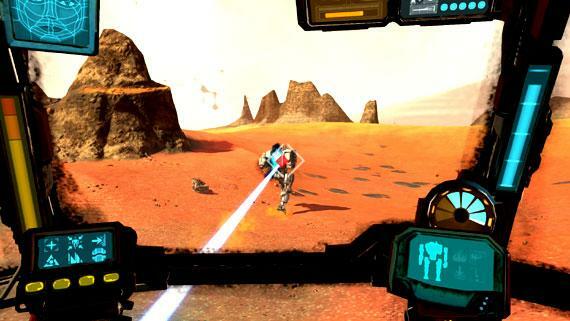 This game makes you feel like you’re playing MechWarrior in VR. The game places you at the cockpit of a BattleMech which are called Grinders or GDR’s in the game. At the start, you are given an option to go through the tutorial or proceed to a brief mission. The tutorial will provide you with the basics you will need to pilot and fight with your mech courtesy of your onboard computer that sounds like that demented female AI from Portal. The mission is a search and rescue operation where you will have to go against enemy mechs moving your heat to target and fire your missiles or lasers. Be advised that like in MechWarrior, your mech can overheat rendering your weapons immobile. The game is another horror adventure game with a very unique twist. The thing is, you’re 2 years old. Imagine a grown individual trapped in the body of a baby who is still in the process of trying to talk and walk. That’s what playing the game feels like. Worst, your Teddy Bear is alive and can talk. Your Mom who loves you so much feeds you cake and puts you to bed. All of a sudden, your baby world turns upside down. 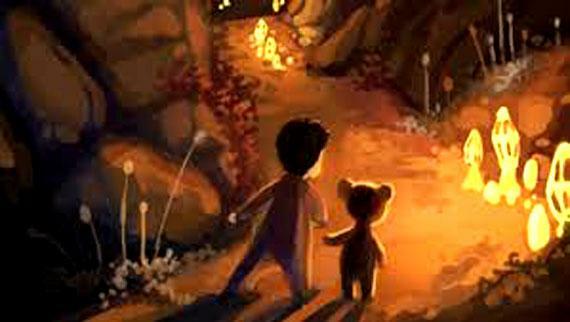 Your Teddy Bear is kidnapped and your Mommy disappears. Strange things are also happening around you. What is baby going to do? Awesome graphics, sounds and voice-overs with a mysterious story line will surely immerse you to want to play the game in its entirety. Dragon Skies VR is an awesome game. Even at the demo level (as the game is still under development at the time of this article), the game promises a combination of game play elements. If you have ever wondered what RPG feels like in VR, this game is it. As a Dragon Rider you go up against both air and ground targets. You communicate with NPC’s, You can craft and upgrade as well as take on quests and missions. The view from the air is awesome but be prepared as it has the tendency to give you motion sickness. Nevertheless, the storyline will probably keep you immersed all the way to the games completion. Finally, we come to the low-end spectrum of VR, that which comes from your phone, the VR of the masses. This is the VR that almost everyone can afford simply because almost everyone has a cell phone. All you need is a cardboard box with 2 holes and some lenses and you’re ready to go. Low-end however does not mean low quality. Believe it or not, many of the best VR games are found in this category. 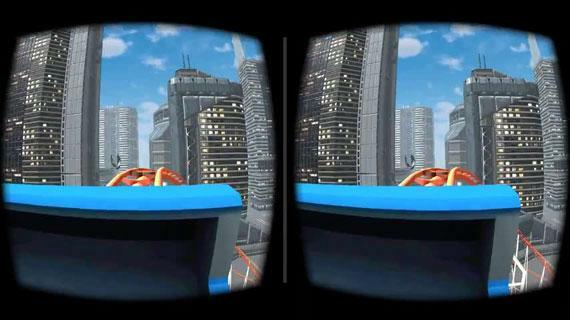 Get ready to experience the Rollercoaster ride of your life in VR. This may be just coming from your smart phone but with a cardboard or a mobile VR headset, you will really feel the ups and downs and loops and hoops as you go round and around a track that would probably be impossible in real life. The sound effects and graphics are awesome and the shrieking and cheering voice-overs lend well to the overall environment. What would it feel like if you where trapped in this twisting labyrinth of a place which is so dark and plagued by gruesome disembodied voices, howling, rushing wind and creaking sounds almost at every turn. 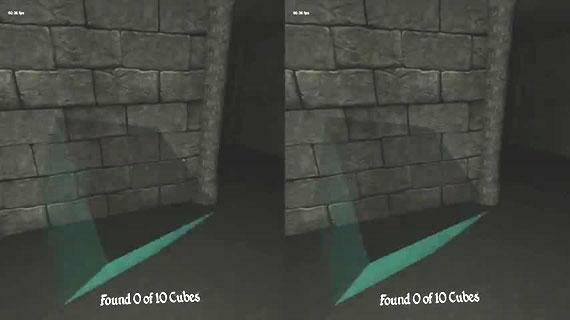 To get out, you need to find cubes so you have to walk around and look for them while enduring all those jump scares. Watch your step since you never know if it will be your last. Awesome game, awesome scare! 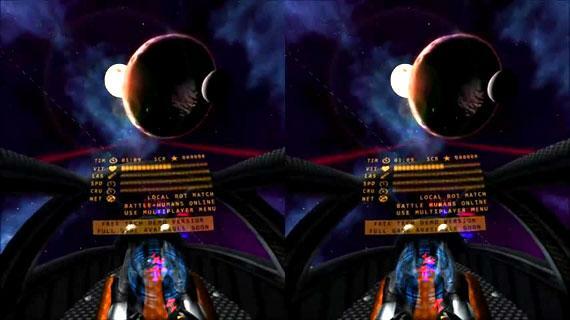 Galaxy VR places you in the cockpit of a star fighter in the middle of space. Fly combat missions against other space opponents in this cool shooter game that gives a similar look and feel with current popular VR space shooters like End Space. Turning your head around will give you a realistic feel of your space environment. Game play is incredibly immersive and can lock you out of your real surroundings.